I should eat healthier food/lose 20 pounds. I should exercise at least three times per week. But there is still value in wanting to grow, in stretching for things just out of arm’s reach. There’s still beauty in becoming, evolving, unfolding — as long as it doesn’t start with should. Because should starts with unworthiness, and unworthiness grinds to a halt all the momentum our desires might otherwise fuel. If we start from our own inherent worthiness, if we believe we deserve what we want for ourselves — not from a place of entitlement, but from the belief that it’s all right to be happy — then all we need to do is begin. Starting today, I’ll have more fun, smile more. Starting today, I’ll wake up to watch more sunrises. Starting today, I’ll write a little bit of that book that’s inside me. The difference is qualitative. It’s about knowing what we want to feel, then figuring out ways to create and support that feeling. And so: Starting today, I’ll note with gratitude what I already have so that I feel the abundance in my life. I’ll define what I want to experience, not what I want to own, so that I feel the joy of discovery. I’ll make more time for stillness and reflection so that I feel more deeply connected with the experiences I have. I’ll look for ways to be more fully present so that I feel less stressed about the future and more energized by the moment. Starting today, I’ll stop wishing I’d started yesterday and take whatever small steps I can toward living the life with which I’ve been gifted. Categories: Musings | Tags: activateadventuremode, bravenewlife | Permalink. Woo-hoo! Welcome to my third attempt at National Novel Writing Month (which we “Wrimos” affectionately call NaNoWriMo)! Yeah, I know: We’ve been here before. Me, promising to post daily updates of my progress. You, reading all two of the posts I actually get around to writing. Then…nothing. Mostly because I’d stopped writing my novel. Last year, 2017, I got no farther than announcing the title of my novel. But I’d just lost my best friend, a big, red Golden Retriever named Bodhi, and my energies were solely focused on things like getting out of bed in the morning, dressing myself, occasionally showering. Writing a novel was not a viable option. So, here we are, at the end of 2018. I’ve announced my novel on the NaNoWriMo site, given it a title, written a (really bad) synopsis, and I’m off and writing. In just three days, I’ve managed to make the 5,000 word mark. And I’ve promised myself that, this year, I’m not only finishing, but I’m also doing everything differently. Everything. So, for instance, I’m participating in social events, like write-ins at my favorite library branch — sitting alongside other Wrimos, all of us with our anti-social earbuds in and a soundtrack playing while we type furiously on our computers, not speaking but building the kind of collective creative energy usually reserved for group meditation sessions. I’m also challenging myself to word-sprints, which means setting a timer and breaking the sound barrier with the speed of my typing as I race the clock to word-count goodness. And there are group sprints on my horizon, where a virtual herd of Wrimos race each other as well as the clock. I plan to participate in workshops on finding an agent and how to self-publish a book at the Charlotte Mecklenburg Main Library. And, too, I’m earning my badges (the whole affair is delightfully gamified), making donations, inviting others to write, cutting my fingernails short so their tapping doesn’t bother my fellow write-in Wrimos. This year, I declared myself a Plantser (a combination of Planner and Pantser, as in “by-the-seat-of-my-pants”) and wrote some loose outlines, ideas for storylines, bits of dialogue — then went out and started writing whatever came to mind, leaving the planned bits for days when inspiration trickles instead of flows. Oh, and I also declared myself a NaNo Rebel this year. As I started my Plantsing, I realized that — despite my efforts to write it as fiction — this is a story best told truthfully. So, this year’s “novel” will be a memoir. I have no idea what it will be after that because I’d originally planned for it to be a “choose your own path” digital experience, but I never quite got it off the ground. For one thing, I noticed there was an embarrassing lack of story in my story. Maybe forcing myself to compress my writing process during the next 30 days will provide the impetus to do something more…extraordinary…with it. Then, again, maybe it will be extraordinary enough just as I write it. Whatever happens with it, it needs to come out into the light before it eats me alive. Because that’s what stories do when you don’t let them out: They fester and churn and wake you up at night and sometimes eat your breakfast or your favorite dessert, just as you get ready to take the first bite. Categories: NaNoWriMo 2018, Random Musings | Permalink. I rubbed my stinging eyes and rolled my head around on my neck, working out the kinks that had formed after hours on the computer. Coyote, my old husky-shepherd mix, was sleeping on her cushion in the living room, and I was in the dining room with the big, red Golden who’d just joined our tiny pack. “Bo” was the name on his adoption papers. I gazed at the gorgeous dog lolling in a sunbeam, thinking for the hundredth time that it just didn’t fit. He glanced up from his nap and caught me looking at him. Without picking his chin up from his paws, he thumped his tail loudly on the floor, his eyes questioning. “You’d save me a lot of trouble if you’d just tell me what your name is,” I said. Bo thumped his tail as an answer but was no more forthcoming than that. I sighed and turned back to the slew of bookmarked baby name sites I had open on my laptop. Years ago, I’d stumbled on Sachi’s name in a baby book. A kind of play on my own name, which often translates as “joy,” my sweet little Golden girl’s name had translated as “child of joy” — a moniker that also reflected her sunny disposition. I was hoping to get lucky with the online version of a baby book and find a name whose meaning resonated with this new member of the household. I’d given up any meaning-driven kind of search about 30 minutes ago and was now combing alphabetically through the names listed on the sites, one after another. When I said nothing more, Bo closed his eyes again, and I smiled. Even at only two years old, he was a good five or six pounds heavier than my little Sachi was when she left us, with the solid build of a big, strong boy. His vibrant personality made him seem bigger-than-life, so “Bo” wouldn’t have been far off, if that was all there was to him. But…there was also this mood: profoundly still, completely at ease, yet acutely aware of his surroundings. He filled me with a curious kind of wonder. How could this Being burst with such playful vitality one instant, yet be so gentle and calm the next? At that moment, my cursor landed on a name in the B’s. I paused, letting the name roll around in my head before saying it out loud. 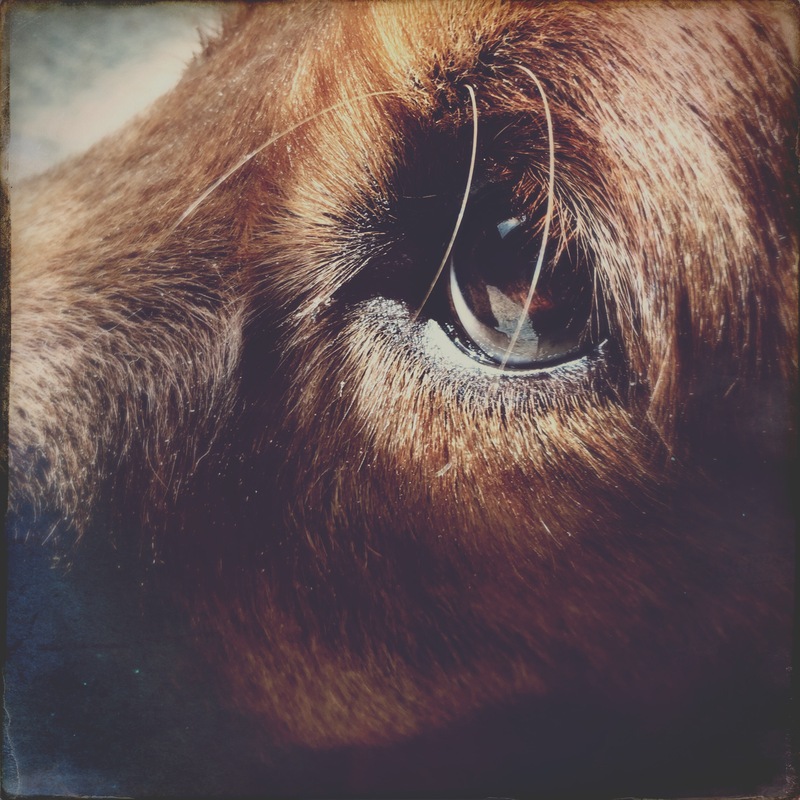 The big red dog lifted his head, yawning, then held me with a steady gaze. Yes? As if in response, he wagged his tail and grinned at me, panting. Let’s try it, I thought. “Bodhi,” I said again, decisively. And the newest member of our pack, the brother Coyote chose to share her space and her mom with, shot to his feet– wriggling with glee — to lay his head on my lap and look up at me. I like it, too, his sparkling, brown eyes seemed to say. “And I can make the transition easier for you because I can still use ‘Bo’ for short,” I told him, scratching his silky ears for him before he dashed off to find a toy. I texted Barb, his foster mom, about the new name, explaining my reasoning and hoping she’d like it. I didn’t have to wait long. Thank you for putting so much thought and effort into his new name, came the fond reply as Bodhi bounded back into the room with his squeaky tennis ball and dropped it on floor at my feet. Staring at the ball with laser focus, he quickly glanced up to see if I’d noticed his invitation before boring holes into the ball again with his eyes, his body quivering with anticipation. I laughed. Something told me that this big, glorious goofball was worth whatever effort I might make on his behalf. Because teaching me would be no small feat, even for this brilliant ray of light. Bodhi barked. I pounced on the ball, and the game began. “And so I named him Bodhi,” I finished my story, tears streaming freely down my face. “My dogs have always been my greatest teachers. But this one…this one was something special. He was the embodiment of joy,” I told the kind woman sitting in the chair across from me. Yes, I thought, wonder and love tugging at my broken heart. You and everyone who ever met him. If the experience in the veterinary hospital was traumatic, the experience with the crematorium they contracted with was downright horrific. Only hours after I’d left my sweet boy’s body at the hospital, waiting to be picked up for cremation, I received an automated — yes, AUTOMATED — phone call with a canned message regarding “understanding your grief after the loss of a beloved pet” and attempting to sell me additional services on a deadline. That call nearly broke me. Nearly wild with rage and anguish, I did something I rarely do: I reached out for help. I’m deeply grateful to Jane Rose at Rose Pet Memorial Center in Indianapolis for connecting me with Carol and Danielle at Paws, Whiskers & Wags in Charlotte so that Bodhi could receive the kind of loving care in death as I tried so hard to provide him in life. These caring, devoted souls helped me rewrite the ending of the story in a way that honored us both. Thank you all — not only for what you do but also for who you are. Categories: Because Bodhi | Tags: #myBodhi, canine teachers, golden retriever, red golden | Permalink. Hi! My name is Bo. I’m a 2 year old Golden whose family lost their home; I came to GRRACE by way of a local animal shelter. While I was at the shelter, I was really anxious – lots of noise and barking got me really excited. But the moment I left that place, I became a totally different boy – calm, easy-going and so very glad to be back in a home again. It seems that in a laid-back place, I’m a laid-back guy. This was a very different process for me. In fact, when I’d adopted Sachi, my first Golden Retriever, from the Humane Society about a decade before, there was a whole lot less process in the process. I happened to wander in the day they released her from quarantine for adoption, and she stole my heart. After filling out an application and enduring a short waiting period, I took her home — where she promptly turned my life upside down in the most welcome and wonderful ways. As it turned out, adopting Sachi from the Humane Society was a fluke. The Golden Retriever Rescue and Community Education organization, or G.R.R.A.C.E., usually snapped up surrendered Goldens before they could be adopted out. The organization’s members considered themselves not only breed enthusiasts but also stewards — loving protectors of these friendly, sensitive, goofy dogs. In addition to an application, there was a questionnaire and a phone interview, followed by a home visit. G.R.R.A.C.E had high standards. I was reservedly hoping to measure up to those standards today. I wasn’t ready for another dog, but my Coyote needed one. I couldn’t stand it anymore. I felt like I’d lost two dogs, not just the one who died. So, I’d taken a deep breath, filled out and submitted the forms, and steeled myself for the impossible task of replacing Sachi. Almost two months later, I received an email: G.R.R.A.C.E. had a dog they thought might be a good fit for me. He was a robust two-year-old Red Golden. Would I agree to a phone interview with his foster mom? I glanced over at Coyote where she laid napping on her cushion. It had taken her a full year to bond with Sachi, and I felt certain I’d be doing a lot of interviews, a lot of home visits, before she’d accept a new dog into our home. Sure, I thought. Sure we can do an interview. But I’m not the one who will be making this decision. Dec. 31, 2013 – We took Bo over to meet a potential adopter. Denise Dilworth, who lives near Butler University. She has a beautiful white female Husky mix named Coyote, and both of them are still grieving over the loss of Sachi, their other Golden who died in March…Dan and I were on the verge of deciding whether to adopt him ourselves, but we know Denise is the perfect match for him. The phone interview had gone well. Barb Lawhorn, along with her husband, Dan, and their own Golden Retriever, Trooper, were fostering my prospective adoptee, who was recovering from a case of kennel cough he’d contracted at the shelter. Barb seemed nice. She had a sweet voice and a lovely laugh. She decided I was worthy of the hour-long drive it would require them to make a home visit. In fact, she and Dan would be bringing the dog along with them to see how he interacted with my Coyote. At the appointed time, just a couple of days later, Coyote barked to let me know they’d arrived. I peered out the front door to see two kindly-looking people with a big red-coated Golden Retriever nearly dragging one of them across the yard on a leash. Despite my promise to myself, I immediately started comparing him with Sachi: big and muscular vs. small and delicate; red vs. blonde; thin feathers and skirt vs. full ones; broad, masculine head… I took a deep breath. I needed to stop. I greeted the Lawhorns by waving them in while I held Coyote’s collar. Barb came in first, shaking my hand by way of introduction, and Dan followed with the dog they called “Bo,” straining at the leash. After a moment or two of swirling excitement, we let go of the dogs to let them get acquainted. Bo dwarfed Coyote, and I watched closely as the two dogs circled each other, hackles up — Bo stiff-legged — but tentatively wagging their tails. Bo was the first to break away, running to Dan, who’d seated himself in a chair, and burying his head in Dan’s lap for comfort. He was nervous, unsure. Dan suggested I call him, so I did. Bo ducked his head and wagged submissively as he trotted obediently over to where I sat on the floor. After briefly sniffing me, he turned plopped himself unceremoniously into my lap. Barb laughed, snapping a photo of us. “Well, he looks right at home!” she said. Just then, Coyote did something astonishing: With a wide, mischievous husky grin, she bounded into a deep play-bow. Bo made himself right at home, and Coyote even perked up a little bit. I thought Denise was going to cry she was so happy to see that! I think she is going to be the best adopter we could possibly find. Coyote darted for the back door, with Bo in hot pursuit. I let her out, then closed the door behind her, trapping the rambunctious Golden inside for a moment. While Barb and Dan waited behind us, I told Bo to sit, then softly called his name…and waited. It took a moment for him to realize I was waiting for something. He broke his laser focus on the doorknob just long enough to do exactly what I’d hoped he’d do: make eye contact. I smiled at him and told him he was a good boy before opening the door to let him join Coyote in the yard. I’m not the only one who has to pass muster in this deal, I said to myself. Once outside, the two dogs enthusiastically played a game of chase, stopping only now and then to pee on a tree or a clump of grass, each trying to outdo the other. I stood transfixed by the change in Coyote. She leaped and darted about, her bottle-brush tail stretched out with the joy of running, her eyes happy and shining, not quite able to outmaneuver Bo as she had our less nimble Sachi. I hadn’t seen this much energy in months. “I feel like you’ve given me my dog back,” I whispered through a throat choked with tears. Barb and Dan smiled, watching the pair as they disappeared at full speed around the corner of the house, then back again into view. “I forgot the paperwork at home, or I’d leave him with you today,” Barb said, beaming at me. “I think this is a very good match, don’t you, Dan?” Dan nodded, smiling. I drew a deep, quavering breath, stilling myself a moment. “That’s okay,” I replied. “I’m not quite ready yet. I have a lot to do.” There was a bed to buy, a new bowl, a leash, a collar, food… And there was also preparing my heart for moving another Golden into our little pack. A not-Sachi. Watching the two dogs streak across the yard and down into the trees, I knew that particular preparation was something I’d be able to manage much more easily than I’d anticipated. My deepest gratitude to Barb Lawhorn for sharing her journal entries with me and to her and Dan for providing loving support, especially as Bodhi and I adjusted to each other. (Yes, I’m referring to the “inappropriate ingestion” incidents.) I loved that you both continued to care about him, to welcome with enthusiasm the photos I sent you as he grew into himself, long after your relationship with him in an “official capacity” ended. Bodhi adored you both, as our visit to you just over a year ago clearly illustrated. In the beginning you were his rescuers. In the end, you were also mine. I had to read your text 20 times because the words made no sense. Bodhi was awesome. You two were great for each other. My heart is broken for you. Why did she keep saying unfortunately? I’d brought Bodhi to the emergency vet because he’d halted, swaying, at the beginning of our evening walk and refused to go any farther. Earlier that day, he’d been to his new veterinarian for a tick bite, for suspected Lyme disease. I’d caught it early, so we were confident he’d be all right. But he wasn’t. He hadn’t eaten, hadn’t evacuated, and suddenly hadn’t been able to keep water down. Then he refused to go on his walk, and I had to lift him into the truck to get him to this…place. She was young. Very young and earnest. And, now, the vet was here in the examination room with me, talking in that measured tone. Bodhi was still in the back somewhere, waiting. Waiting for me to come and get him. And this vet was in here saying unfortunately. I can’t focus on her words. I can’t make them make sense. I just brought my beautiful boy in because he was reacting to a tick bite. That’s all. He’d contracted Lyme disease, and he wasn’t feeling well. Consistent with Lyme, the tech had said. So, it was all going to be okay. And then I see what the vet is holding in her hand. She gestures with it, like it’s something normal, something I’d see every day of the week. A syringe, with a long, thick needle at its end. It’s full of something. Blood. Not the right color. A strange, murky grey tinge mars the red. It’s from his abdomen. Why is there blood in his abdomen? “Anything,” is all I can say. “Just do whatever it takes.” Anything anything anything anything anything anything. She keeps talking, this woman I don’t know, don’t trust — am forced by circumstances to depend on. I want her to stop. I tell her to stop. She calmly tells me she has to review everything on the papers with me, make sure I understand. There’s nothing here I want to understand. I just want my Bodhi back at the house with me, curled up on his old bed, getting well in this place where I know virtually no one, except the few members of my family who live in the area. They offered to come out, to sit with me. But I’m here alone because I don’t know how to ask them to help me, to support me. I’m stingy with my pain. I don’t know how to invite anyone into this nightmare I’m having. And why is this woman still talking? “He’s just so young,” she’s saying now, on her way out the door with my signed papers, heading back to clear the way for me to see Bodhi before they start doing more tests, the “invasive procedures” necessary to tell me why my vibrant, strong, happy dog is so sick. “He’s just so young,” she says again, pausing to beam sympathy at me with her eyes. And I read death on her lips. No, no, no, no, no. Not this one. Not this one. This one is special. This one is my joy, my heart, the other half of my soul. Please: Not. This One. He struggles to his feet, and I realize my mistake: He thinks I mean he’s coming home with me. Someone says, “Oh! He can stand!” They’d had to carry him back. He hadn’t wanted to go with them. They don’t know what I’ve done. “Oh, god,” I moan. “No, sweetheart. You need to stay here. You need to let these people help you.” I get him to lie back down. I fuss over him a little, trying to undo my unintended deception. He’s crushed, afraid. He knows. He might not be aware, but some part of him knows. As some part of me knows, too. I somehow manage to start the car and get back onto the freeway. It’s well after midnight. We’ve been there, waiting, for nearly five hours. I drive back to the house — not home without him — to pray. If we can fill a room with [healing energy] for me, we can fill a room for Bodhi. Let’s focus on that. And the world implodes into a million jagged shards of pain. A strange stillness came over me, cooling the heat of my desperation and lending me a moment of clarity. I was suddenly flooded with gratitude. It was true. I’d had nearly four years with a luminous soul that was wrapped in a Golden Retriever’s body. Four years of laughter and adventure and play and sweetness and love. I’d had my miracle. I’d had Bodhi. And even later, when I wrapped my body around his and felt him leave me, I knew I could be grateful for that. Categories: Because Bodhi | Tags: #myBodhi, canine teachers | Permalink. Coming from my long-standing relationship with scarcity and loss, I recoiled at the question, retorting that I hoped he would teach me nothing about loss for a long, long time. I left shaken. But I vowed that from that time on, I would do my best to make every moment of Bodhi’s and my life together count. What I came to discover was that Bodhi had already been teaching me, even as Coyote lay dying, that loss and grief are impermanent, if I allow them to be. How does that saying go? : “Pain is inevitable; suffering optional.” He was teaching me, with his sunny personality and outpouring of joyful love, that the pain of loss is only one part of living a full life. He was teaching me not to hang onto the loss, not to cause myself suffering by clinging to it. In the early hours of this morning, Bodhi taught me another lesson, this time about connecting to gratitude through grief. He taught me that miracles aren’t always about gaining more minutes and hours and days to spend with a beloved friend and companion, but about being grateful for the minutes and hours and days you’ve already spent together. Miracles are those shining things you don’t always realize you already hold in your hand. In the wee hours of this morning, I learned that Bodhi was bleeding into his abdomen from an untreatable cancerous lesion. When I desperately prayed for a miracle, the Universe wisely answered: “You’ve already had it.” And, through the most chest-exploding anguish of my life, I found gratitude. Oh, I’m mourning. He was my best bud, my constant companion, my healing and meditation partner, my heart. But he was also my teacher, my Bodhisattva. And, so, I learn. Blessings, friend, for providing that reflection for me. Blessings for speaking those words to me, waking me enough to treat him like the living miracle he was. If you’ve read any of the dog dialogues here on my blog or follow me on Instagram, you might have encountered Bodhi. He was my gorgeous goofball, my dork-face, my very own personal clown — a true Golden Retriever. But there was also something indefinably special about him. A treasured friend of mine came closest when she described him as “luminous.” It didn’t require physically seeing us together for people to sense the deep, loving connection Bodhi and I had — they could feel it through my posts, my emails, my photos. What’s more amazing to me, though, is that he somehow forged his own connections with people — even the ones he never met — just by being Bodhi. As I wrote in my email to my friend, above, my grief is deeply felt — and it will continue to be for a long time, as I adjust to the silence and stillness that used to be filled, instead, with his silly, joyful energy. But, outside of the ending, I can honestly say I have no regrets. Bodhi and I had a great life, full of adventure and fun and snuggling. He and I dared to do things we might not otherwise have done, had we never met. We were creating a brave new life together, moving to the mountains of North Carolina to learn about living in harmony with the land. We were road-tripping and hiking and making new friends all along the way. I have much to be grateful for. And, so, in collaboration with the people who witnessed and participated in our story — people who sent me texts and emails and messages and photos — I’m writing a series of posts about Bodhi and what we learned from each other, what we gave each other. It begins with a howl of pain, a reliving of the night he died — because, as my brother-in-law Jeff put it so well, that’s part of our story, too. But I don’t want to stay there in the pain. I don’t want us to suffer, you and I. Whatever I post about this season of loss will shift the focus to not only honor my grief, but also to reach through the grief to the gratitude and joy and laughter that glimmers like a guiding star behind it. Categories: Because Bodhi | Tags: #myBodhi, canine teachers, healing grief | Permalink.